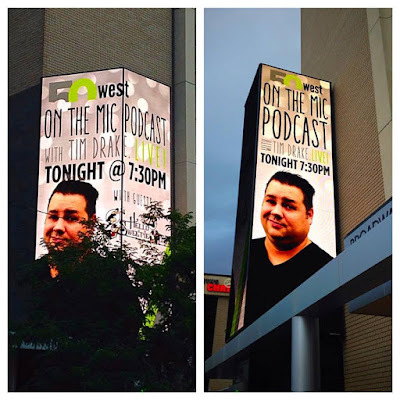 On the Mic with Tim Drake: Look Ma', I'm on a building! Thank you to everybody that came out to Club at 50 West last night for the LIVE On the Mic Podcast! It meant a lot to have you there! Thanks to Hello, Sweetie! Podcast, Club at 50 West, Shayne Smith, and Mazziotti Design for making it happen. 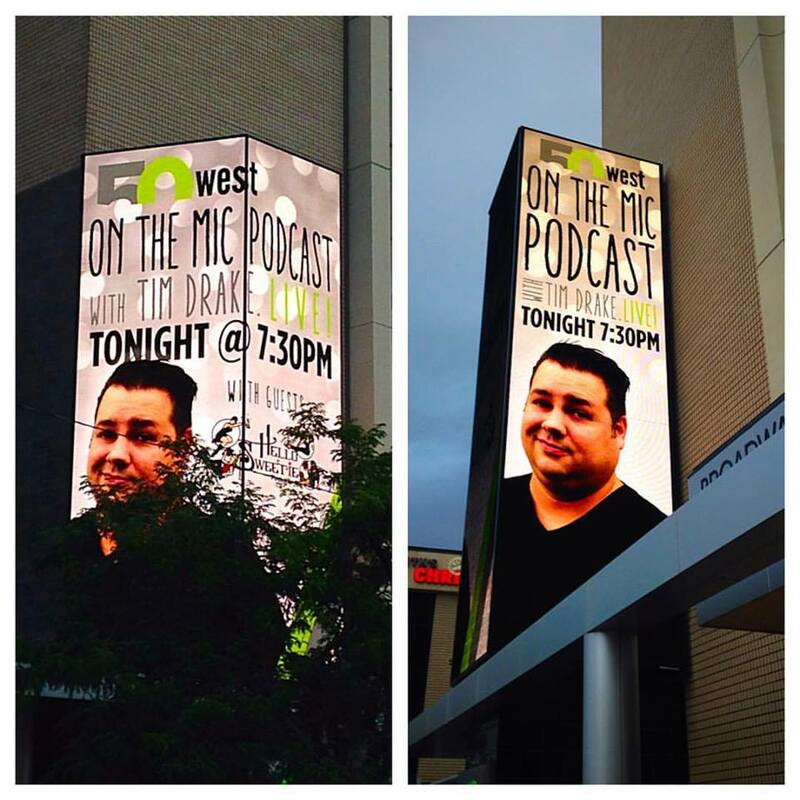 Nothing felt crazier to me than walking out of the parking garage to see my face up on the massive marquee in downtown Salt Lake! Thanks again, to everybody that came! The episode will be released next Wednesday!